The original Beetle was the longest-running and most manufactured car ever. One of the reasons why this car lasted so long was because of the Volkswagen's build quality and durability. 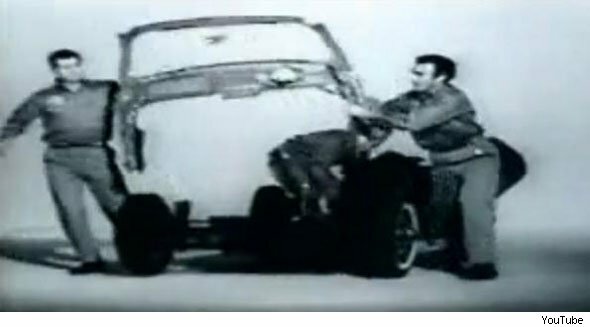 So whilst looking through YouTube, it was amusing to find this advert from the sixties, for an American car parts specialist. Considering how old this video looks to me, I'm impressed by how professional and well-drilled the workers are at taking the Beetle apart. Also, how was it done? I can only think there must have been some clever hidden tacking of panels.